You will find there are a number of advantages to opening a shop in Gloucester over selling your goods on the internet. Gloucester shops will give you the opportunity to create the kind of brand identity that is crucial in today's market and attract a lot more trade for your business. Finding a retail property to rent here at MOVEHUT can be the first step to get all these benefits. 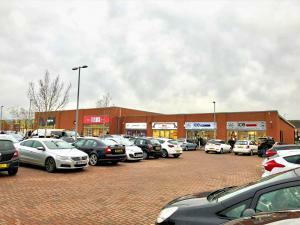 You should take into account a number of factors when searching for a shop to rent in Gloucester. One of the first questions you must ask yourself is what space requirements your business has. And if you can find a retail store or shop to rent in Gloucester which is in the perfect location then you will be onto a winner. Whatever your main concerns are, here at MOVEHUT we can help you find the retail property to let in Gloucester that's right for you. Here at MOVEHUT, we have retail commercial properties to rent in Gloucester that are suitable for all types of outlet, so whatever your business specifications are, you can find your ideal shop here at MOVEHUT. You may be on the hunt for Gloucester retail properties to launch new phone and gadget shops in Gloucester. Alternatively, it could be that you are planning to open a sandwich shop in a high street location. Regardless of what you're looking for, you can count on MOVEHUT to take the stress out of your search for a retail property to rent in Gloucester. When you rent a shop in Gloucester, you will need to arrange insurance cover. From grocery to clothing, all shops in Gloucester will need to have suitable insurance. You will find that your insurance may cover goods in transit as well as those stored on the premises. Begin your search for a retail commercial property to rent in Gloucester with MOVEHUT and don't forget about your insurance. All commercial properties have their own classification code, which denotes what the property can be used for. Before you start searching, it would be a good idea to make sure any retail property you're interested in has the correct usage code attached to it. When you're totally happy that you are aware of the right usage code for your shop in Gloucester, let MOVEHUT match you up with the perfect property. 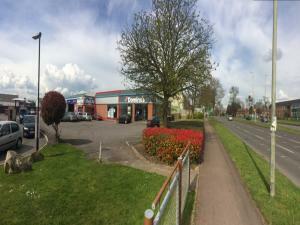 When searching for a shop to rent in Gloucester, you will want to find a great property in your budget range. 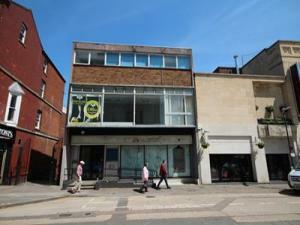 We offer lots of shop choices in Gloucester to rent, in a range of rental costs up to £200,000 per year or more. We have enough choice to match any budget, so get your property search started with MOVEHUT.